Is Easter the ‘High Point’ for your Ministry? Home » Healthy Growing Churches » Is Easter the ‘High Point’ for your Ministry? By the time this hits your inbox Easter celebrations for 2017 will in the books. It was a tremendous day at my church home in Cincinnati, Ohio. We worshipped, welcomed first time guests, and saw life change happen throughout our facility! I hope you too are celebrating the many powerful ways your church community celebrated the death and resurrection of Jesus. I trust you can identify life change in those who call your church home. I expect you have many great stories to tell of new faces who visited your church, some who crossed the line of faith for the first time, or renewed their commitment to Jesus. I want to encourage you to take some time in the next couple of days to celebrate all that God did this weekend. If you are a pastor make sure you gather your leaders and spend a few moments celebrating the kingdom wins you experienced these past few days. It is a small but powerful way you can build off the energy and momentum of Easter. I also want to encourage you to dream about additional ways you and your church can build on your Easter wins. Let me share a few idea starters. Challenge your church to keep bringing the energy! Easter is always one of those times of our church ministry year where we give an ‘all in’ effort on as many fronts as possible. That focus and effort brings with it big time energy. And, that’s the way it should be. My encouragement is to work hard to extend that energy into the rest of Spring and the remaining days of this year. Make sure Jesus remains the focal point. The good news about Jesus’ death and resurrection is central to the message we have to share. Easter is the one day in our ministry calendars where that message is on full display and the focus of all we do. Ponder ways you can continue to let the main thing be the main thing. My grandfather was a dynamic pastor in Southwest Ohio for many years. His influence continues to ripple in so many lives even today. I’ll never forget the last words he spoke to me before his passing. He said, “Just tell them about Jesus son.” Those are words that not only need to be embraced, but also lived. Continue to rely solely on the resurrection power of Jesus. Paul reminds us in Philippians 4:13 that we can do all things through Christ who gives us strength. Those words only become a reality for you and me if we fully yield to God and allow His power to work in us and through us. 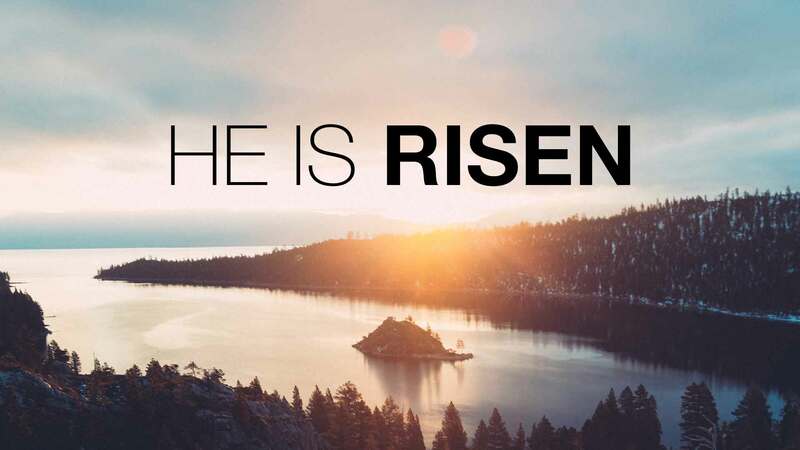 Don’t let Easter be the high point of your year, but let Jesus’ sacrifice and resurrection be the “high point” of you life and ministry as 2017 unfolds. What other creative ways can you leverage your momentum from Easter to propel you forward individually as a follower of Jesus or corporately as a church? I do hope you will lean into that questions for a few minutes this week. Post contributed by Tom Planck, HGC Healthy Church Catalyst. Next A Critical Moment for the Church: Why Do You Stand Here?